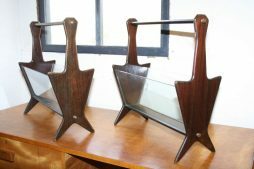 Magazine Racks | Interior Boutiques – Antiques for sale and mid century modern furniture, french furniture, antique lighting, retro furniture and danish furniture. 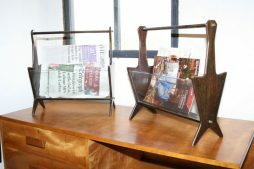 A very close pair of Italian magazine newspaper racks, design attributed to Ico Parisi for De Baggis. Very unusual to get a pair in this stunning design.